“Why should a nonagenarian hold anything back?” Donald Hall answers his own question in these self-knowing, fierce, and funny essays on aging, the pleasures of solitude, and the sometimes astonishing freedoms arising from both. Nearing ninety at the time of writing, he intersperses memories of exuberant days in his youth, with uncensored tales of literary friendships spanning decades—with James Wright, Richard Wilbur, Seamus Heaney, and other luminaries. 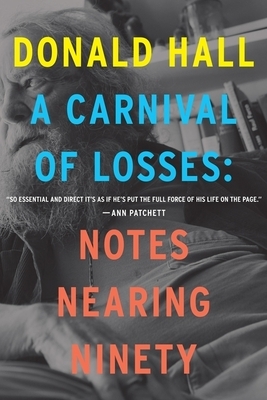 Cementing his place alongside Roger Angell and Joan Didion as a generous and profound chronicler of loss, this final work is as original and searing as anything Hall wrote during his extraordinary literary lifetime.